Editors’ Note: This article is part of a series on advanced Talmud study for women. See responses by Chaim Saiman, Sharona Margolin Halickman, and a rejoinder by Judah Goldberg. Recently, the Orthodox Jewish world has been privy to a flurry of reflections (including commentaries by Rabbi Dr. Michael Avraham, Shayna Goldberg, Rivka Kahan, Tzipporah Machlah Klapper, Rabbi Ezra Schwartz, Tova Warburg Sinensky, and Ayelet Wenger) upon the state of women’s Jewish education. Collectively, they describe a movement in development, one that can take pride in the far-reaching accomplishments of the past several decades, yet, precisely in light of these strides, must contend with the frustrations of as-of-yet unrealized opportunities and dreams. More direct exposure to and engagement with first-rate Torah scholars. Personally, I support all of these goals, individually and as part of a unified, integrated agenda. In this essay, however, I want to specifically address the second one—the further development of advanced Talmud programs for women. For the past six years, I have had the privilege of working and teaching in advanced Talmud programs and have interacted with students and faculty from others. From what I have seen, these programs are enormously successful in providing intensive study of Torah she-be’al peh for earnest, devout women who seek God and His word and in equipping them with skills that will allow them to continue learning on their own and to open up the wonders of Torah for others. At the same time, my sense is that the field of women’s advanced learning is poised for a sharpening and fuller articulation of goals, strategy, and vision. Learning is certainly happening, but not necessarily in the context of a larger, organized, educational plan, and our young women, I think, are held back as a result. Building upon the accomplishments of our community to date, I would like to map out a comprehensive agenda for what an advanced program of study in Gemara and Torah she-be’al peh could and should mean for the most ambitious of our female students and for the institutions that teach them. Under the intellectual leadership of Rav Joseph B. Soloveitchik and mori ve-rabbi Rav Aharon Lichtenstein, intensive study of Torah she-be’al peh by women has become a fixture of Centrist Orthodoxy; the question is not if, but how. I further note that advanced study by an elite, mature population that has distinguished itself in terms of motivation, commitment, and perseverance ought to be less sensitive, according to at least some Poskim (such as Perishah, Yoreh De’ah 246:15), than many other educational activities that are ubiquitous across the Orthodox world. Teaching Rashi on Parashat Mishpatim to fifth-grade girls poses a more serious halakhic challenge than does the functioning of an advanced Talmud program for adult women; any community that endorses the former should be ready to embrace the latter as well. It is to the narrow population that I outlined above that I turn my attention. What these women generally seek, and what motivates them, in my experience, is qualitatively different than that which, say, students embarking on a post-high school year of study are looking for, and the curricular goals should therefore be adjusted as well. In a post-high school program—even the most intellectually rigorous—the goals of learning are multifaceted. The highest priority, by far, is to cultivate deep religious commitment and vibrant spirituality that will sustain the students in the coming years and across a lifetime, and Talmud Torah is a principal means toward that end. The inculcation of specific knowledge and of the skills necessary to be a lifelong learner are additional, but less pressing, objectives. Curricular decisions, then—what to teach, when, and how—are built around the particular needs of the students and the challenges that they will face, and here, undoubtedly, gender may play a significant role. By contrast, a woman who elects to pursue “graduate-level” study of Torah she-be’al peh, in my experience, is seeking a skill set and a body of knowledge, no different than a counterpart who is similarly specializing in physics or medicine. She is not looking, primarily, for an inspirational experience (though we hope that all Talmud Torah inspires), or exposure to new texts or ideas, or an exploration of her religious identity—all of which might be influenced by gender. Rather, she is looking to develop expertise. But here she encounters a problem. For if she wanted to study law or medicine, she could enroll in an academic program that would be equally challenging for her, and demanding of her, as for any man. Sure, she might be daunted, for all kinds of personal and sociological reasons, from taking that leap; but if she were ready to make that commitment (and the necessary sacrifices), the door is wide open. However, if a woman declines these worldly pursuits and wishes to study Torah she-be’al peh instead, no matter how hard she is willing to work, all elite institutions by definition are closed off to her. She is discouraged, not because she is looking to imitate men and their learning, but because she wants to grow into an expert, and she understands where the expertise is. Specifically out of her deep respect for the genuine “crown of Torah” and her appreciation of the mesorah of Torah she-be’al peh, she does not want to settle for a watered-down or feminine-adapted version. She wants to delve into “havayot de-Abaye ve-Rava”—to hear the echoes of Sinai, to join the debates of the giants of history, and to take a seat in the vast, metahistorical, virtual beit midrash that unites all students of Torah she-be’al peh since Moshe Rabbeinu—irrespective of her gender or that of the rest of the students. But she cannot. Her pain is magnified by another, quiet fact: Even if a yeshiva would overlook her gender, she would still not be qualified to join! Even if she has availed herself of every learning opportunity for women possible, she still lags terribly behind her male counterparts, and some of her best years are already behind her. Retrospectively, we realize that true expertise was never really within her reach, because her education was woefully subpar all along. But why? Not for any halakhic reason, for we were willing to offer this woman instruction in Gemara. Not because we disapprove of her prioritizing academic study, for if she made literature or psychology her focus, she would likely receive our encouragement. Not because there isn’t any interest, because we have established advanced learning programs to cater exactly to women like this! This reality weighs heavily on my mind, because I feel that my students are shortchanged, as are all young women who love Torah but never consider entering my classroom or others like it. If our community were to reject all women’s study of Gemara, I could more easily accept gender-specific limitations on women’s learning opportunities. But if we believe that Torah she-be’al peh should be accessible to women as well as to men, how can we justify the low-lying, glaringly opaque ceiling that the women of our community hit up against? Why should the very few, self-selective women whose “hearts uplift them” to dedicate themselves to Torah she-be’al peh not be fully enabled to do so? As a serious disciple of any field, and especially Torah she-be’al peh, knows, developing expertise takes many years and thousands of dedicated hours. Surely, a young man cannot show up to a semikhah program with only mild proficiency in Gemara. In the academic realm, while a formal course of study may begin only at the graduate level, many fields have presumed or explicit prerequisites at the college level, if not before. Taking advanced women’s learning seriously, in my opinion, means developing dedicated, comprehensive tracks—far more intensive than what is currently available—for motivated students, well before the age at which they are currently matriculating into advanced programs. In other words, an advanced track should begin in the first year of post-high school study (or soon after), just as it does for someone contemplating a career in biology or physics, and continue on a predictable trajectory through years of graduate-level study. It should also be compatible with simultaneously earning a bachelor’s degree, an option available to students of a wide variety of yeshivot. The goal is not merely to prepare students for an eventual graduate-level program, but to frontload intensive study into the years that young women have most available. Any yeshiva bochur understands that the yungeleit around him bear many more responsibilities than he does and that he would be ill-advised to “push off” his learning to a later point. The burdens that my students carry multiply even further. If we genuinely wish to enable them to build expertise, we need to empower them to learn intensively at a much earlier stage and support them all the way through. Of course, for those who aspire for expertise already from a young age—whether in golf, computer programming, or Torah—the earlier the start the better. I don’t mean to define only one path to expertise, and I don’t delude myself into overestimating the number of high school graduates who are ready to sign on to an intensive Gemara track. But if six or ten women, each requiring a costly living stipend, can justify an entire advanced learning program, then why would the same number, each paying tuition, not justify a “pre-advanced” segment? If we believe in Torah she-be’al peh and in our young women, then we owe it to both to raise the ceiling for our best and our brightest, early and emphatically. Furthermore, advancing women’s learning is likely to have an iterative effect, as the number of young women who suddenly imagine a future for themselves as dedicated students of Torah she-be’al peh grows. Simply put, developing expertise takes a lot of time. Our sages knew this, modern yeshivot know this, and medical training programs and other professional tracks know this as well. Perhaps not many, but a few of our young women might be prepared to dedicate more of their time to Torah, particularly in their younger years, and we ought to provide them with a framework for that undertaking. Specifically, a young woman should be able to study Torah up to five or six days a week, two or three sedarim a day (depending on her other commitments), late into the summer, and in the context of a comprehensive educational program, at least until her family situation changes. The common arrangement of supplementing a limited program with independent study or a collection of “bonus” options would not be an acceptable solution for men, and it shouldn’t be for women either. Of course, abundant time alone is not sufficient to build expertise; it also matters how one spends it. 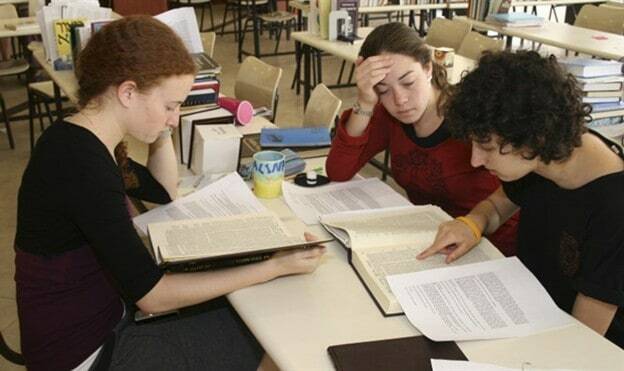 As I described above, many post-high school learning programs focus on the experience of Torah she-be’al peh—even in “iyyun” learning—with skill-building given less of a focus. I fully agree with this emphasis for many of our students, male and female. Still, I believe that there can and ought to be a track available for young women who start out with deep commitment and a vision for excellence to concentrate on textual and analytic skills, as well as knowledge-building, from the outset, just as there are such tracks for young men entering top-tier yeshivot. Talmud Torah, to be sure, should always grow out of and, in turn, further nurture spiritual commitment; but if yeshivot gevohot, following R. Hayyim of Volozhin, can balance “Torah for its own sake” with Talmud Torah as a form of worship (see Sifrei, Devarim 41), then women’s institutions should also be capable of producing their own delicate blend. Perhaps the most defining element of first-rate universities, as well as yeshivot gevohot, is that their primary commitment is not actually to their current students. Rather, it is to the integrity of the disciplines that they study, preserve, and advance. While other educational venues take pride in being keenly responsive to the fluid needs and interests of their student body, graduate schools generally expect their students to bend to the demands of the discipline, not vice versa. This doesn’t mean that universities and yeshivot gevohot cannot also host introductory courses or even full, separate tracks (e.g., a “mechinah” preparatory program), but it does mean that at some point clear standards—whatever they may be—must be upheld. I believe that the women of our community deserve similar institutions of higher Torah learning. Women, too, should be able to participate in programs that set clear entry requirements, empower instructors to impose and maintain standards despite occasional student dissatisfaction, and define criteria for advancement. Institutional leadership must be able to resist pleas for greater flexibility in the present, even at the risk of disaffecting some women, out of commitment to the discipline of Torah she-ba’al peh and to the aspirations of future generations of students. Advanced Halakhah programs for women, to their credit, have demonstrated that maintaining exacting standards is possible, even in a nascent field, and advanced Gemara programs should courageously follow suit. Excessive concessions, on the other hand, would not only be unfortunate, but also disrespectful to women and their capabilities. Physical space for study that is naturally appealing and centrally located on campus. Experts—teachers and mentors—who, similarly, are not only capable of teaching the course material but who model expertise and are a repository of scholarship and wisdom. The impact of such scholars is particularly felt when they not only lecture but also maintain an ongoing presence on campus. Community outreach – many institutions of higher learning view themselves as serving not only their students and their subject matter, but also the public. Of course, the wider public benefits from this perspective, but so do students. The leap from a “beit midrash” to a “center” of Torah can increase the dynamism on campus and help hone skills in connecting halakhic material to the community that Torah “expertise” is meant to ultimately serve. A critical output of expertise is scholarship, and a critical piece of developing such expertise is gaining experience in original research and composition. At first, as in college, the assignments can be internal, but as academic programs and students grow, the hope is that they will ultimately produce material worthy of publication. Publishing per se is secondary; but one can hardly aspire to be an expert if one cannot articulate a thoughtful argument in writing or construct a thoughtful argument worth articulating. Any of my particular suggestions is contestable, and I would not insist that they need to all be pursued simultaneously (indeed, many institutions have already incorporated at least some of these elements). I also do not believe that the goal has to be “separate but equal” programming for men and women. For both practical and ideological reasons, men’s elite learning will continue to eclipse even the most ambitious undertaking in women’s education, at least for the foreseeable future. But that does not absolve us of trying harder and offering determined young women our best efforts. In keeping with R. Tarfon (Avot 2:16) and the philosophy of Talmud Torah that he projects, I believe that process here is more important than outcome. There are young women who earnestly seek devar Hashem, and propping the door just half-open for them is increasingly difficult to justify. We need to maximize their learning opportunities, in both quantity and quality, from a younger age, without overly specifying the intended product. Let them shoot for the stars and land wherever they may.